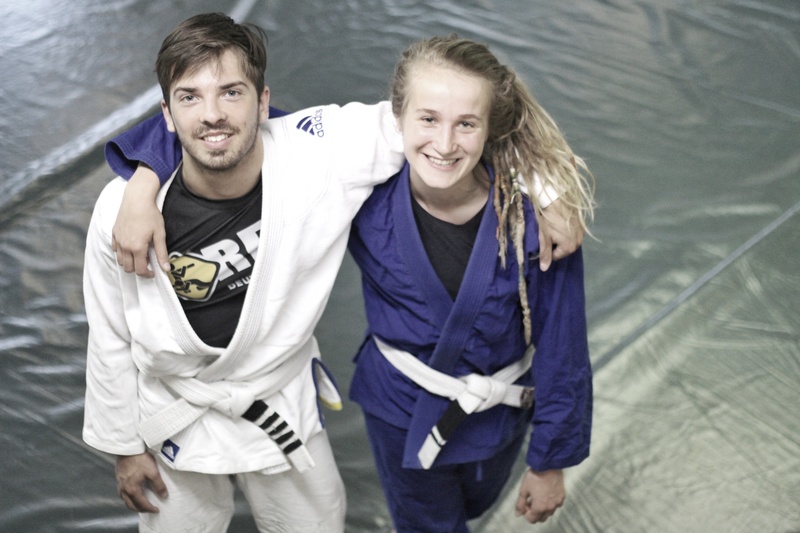 In Dortmund you can train Luta Livre and Brazilian Jiu jitsu (BJJ) with us in a collegial, social and fun environment. We endeavour to maximise the learning effects of our students with the help of professional approaches. BUT!!! The continuous improvement and competitive mindset are highly valued and encouraged among all of our members. This means we focus on mutual help and respect during training, however, we train with resistance to build understanding of an intelligent grappling style pushing you to move and react as efficiently as possible. 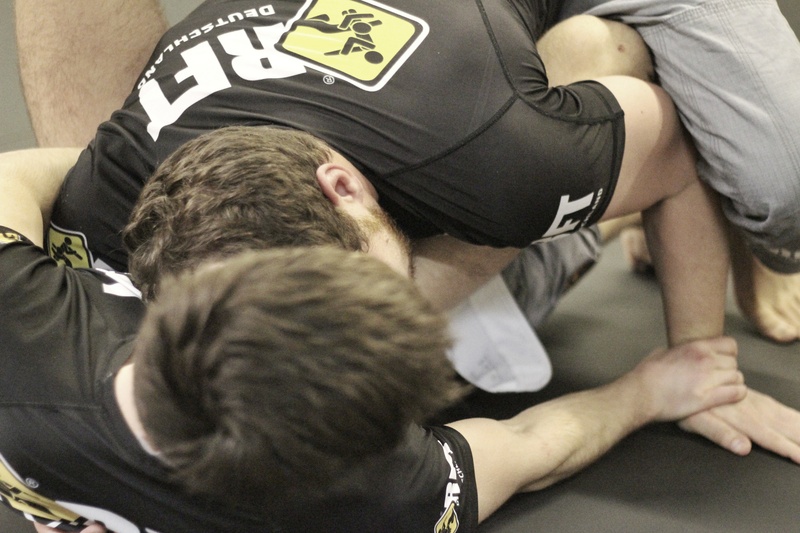 Your training partner will be intelligently countering and resisting while you try. Therefore you will need to put 100% of intelligent effort into your training. If you are not focused on improving your skill level wisely and if you don't display patience and high frustration tolerance, then you won't enjoy our sessions in the first place at all. 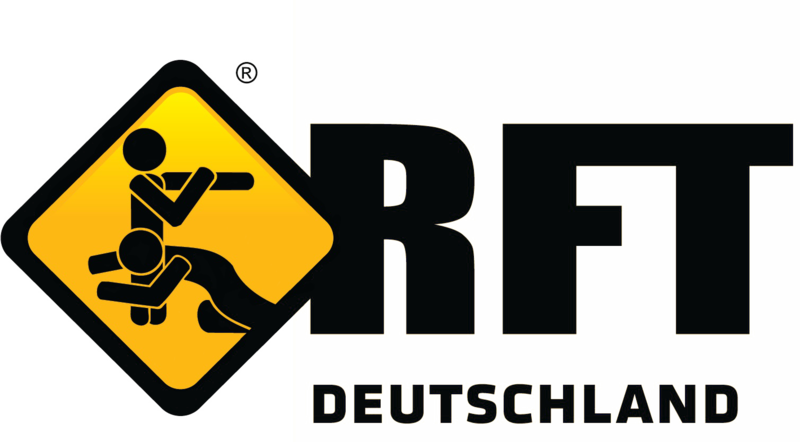 RFT is the most successful Luta Livre Team of the world and you can benefit from the integral concepts RFT Deutschland offers! We offer technical, conceptual and pedagogical professional knowledge. We offer permanent support for trainer and athletes. We offer professional education and further education programs for our trainer. We offer professional assistance for your Team. In this video RFT Deutschland's headcoach Nico Welko talks about the Team in Germany and his vision. He is a sportscientist graduated from Germany and RFT Luta Livre Black Belt under Marcio Cromado. The video is for entertainment purposes only. Enjoy! "I've known Nico Welko for 9 years now and started training Luta Livre with him in 2011. From the very beginning I really very much liked his didactical approach and the way he teaches the art of Luta Livre. Nico helps us to develop and structure our way of fighting and supports us with new knowledge every time we train together. But most important is his friendly and positive attitude towards everyone who is willing to learn being free of prejudices. We help and support each other and try to compete as a big team of individuals who stick together. I am very thankful for everything that Nico made possible for me and I am happy to see that the northern teams connect and have founded a large RFT school network in Germany"
"We decided to walk this path together with Nico Welko and RFT, because during our first training experience with him we were convinced, and we still are, that the techniques he teaches are very strong, his explanations are excellent, easy to understand and the content always builds on one another. In our team we have a lot of fun together, we keep an open mind and we are looking forward to new people who want to enjoy Luta Livre with us in the same way we do"
"My attention and curiosity to Nico Welko and RFT Deutschland was drawn after I read about him so I followed some of his works for a while and later I decided to visit the RFT Deutschland camp last summer and we quickly noticed that our perception about Luta Livre and leadership qualities are similar. I had been looking for many years already for someone who helps and supports us integrally to keep growing as a team and for someone that also cares about our athletes and I finally found it. I'm looking forward to the future and to all the activities"
"Working with RFT Deutschland means continuity and high quality and that requires not only trust, but also sympathy and support and all that we can find within Nico's work and personality. We want to support the establishment of Luta Livre, to be part of the best team in the world and to learn from the best"
"It's a huge honor to be a part of the RFT Team and to work together with a Black Belt of such level like Nico Welko as well. We want to develop our young MMA and Luta Livre team to a professional level and that is why we are so happy to came on board to join the programs of RFT Deutschland. I for myself found out that i extremely like the teaching style of Nico Welko. He is not only convincing through his friendly and open manner but also through his teaching competences and these are particularly very important points for our development as a team"
"It is a great honor and privilege to receive this high level of education and know-how from this program developed by Welko as well as super Luta Livre instruction, the program also covers biomechanics, physiology, pedagogic and didactic skills, which in my opinion make that program an unique and excellent asset as a practicioner and coach"
"Nico is a very kind, admirable and positive person. In common life he is easy going and has a good sense of humor but when it comes to training he is exquisitely rigorous, trustworthily to a black belt expert indeed. He delivers his Luta Livre style in a very elaborated way, coprehensively, step by step, totally clear, realistic which is rather unique for us. And now it actually turned out for us that this is the style out of all kinds of grappling's which is the closest to MMA. Even myself as an experienced trainer I do learn a lot about teaching methods and sport psychology from him"